The Original Six is the term used by fans of ice hockey to refer to the six National Hockey League teams that existed from the 1942-43 season through to before the league's expansion in 1967. NOTE: Prices shown are for less than 12 total pucks. Discounts are: 12-49 pucks @ $3.75 ea. 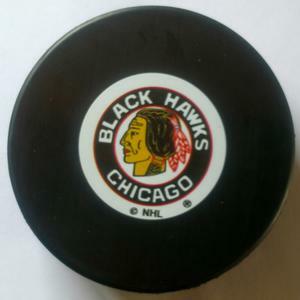 / 50-99 pucks @ $3.40 ea. / 100+ pucks @ $3.15 ea. NOTE: Click on the total amount of non-game style pucks for this order to get the quantity discount. You can mix or match ALL non-game style pucks to get quantity discount.